A huge Nendoroid Hatsune Miku just asking to be hugged! 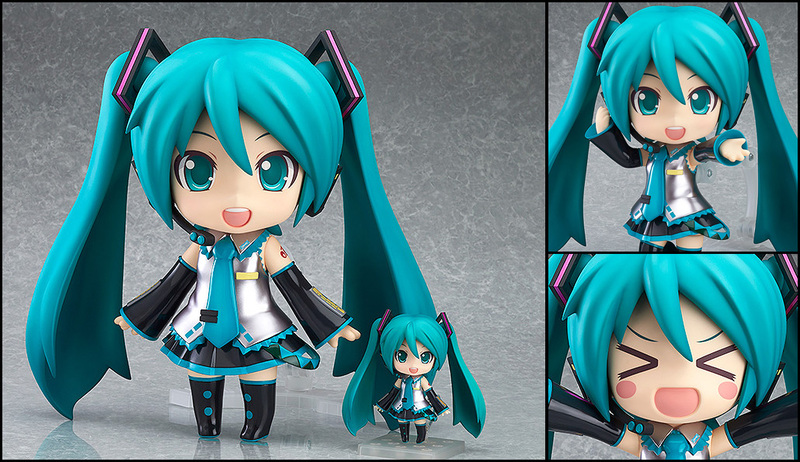 A huge 27cm Nendoroid of Hatsune Miku joins the collection! As a part of the Good Smile Company 15th anniversary and Nendoroid 10th anniversary celebrations, the popular 'Nendoroid Hatsune Miku' is coming back in jumbo size - standing approximately 27cm in height! The giant Nendoroid has all the features various interchangeable face plates and can take all sorts of poses just like its smaller counterpart! Even though it is much bigger, the unique form and cute expressions of the Nendoroid have been faithfully preserved creating the perfect anniversary item to celebrate the Nendoroid 10th Anniversary! !